“A good pastor just needs a four-wheel drive and skiff,” says the Rev. 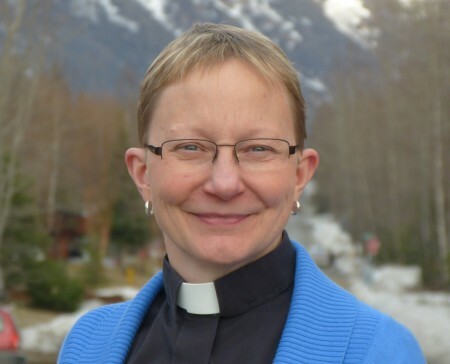 Shelley Wickstrom ’81, bishop of the Alaska Synod of the ELCA. In fact, reaching all 32 of her congregations requires a bit more than that. When we caught up to Wickstrom by phone, she had just returned to her office in Anchorage – located near the airport – from five days in Shishmaref, a village that overlooks the Bering Strait far to the north and west. So how far is that? Born in Montana, and raised and confirmed in a town in Washington called Opportunity, Wickstrom is comfortable in unspoiled environments, the rough-edged places to which people must bring their own sense of purpose, the desire to build something new and a capacity for harmony as they live and work together. Alaska remains a land for groundbreakers. Last September, Wickstrom became the first female bishop there in the 25-year history of her job. She was also the first graduate of CLU to be elected bishop anywhere in the Evangelical Lutheran Church in America, followed just weeks later by James Hazelwood ’81, who rides his motorcycle around the New England Synod. Wickstrom followed her sister and brother to Alaska after graduating from CLU and called it home for the next 16 years. While attending Wartburg Theological Seminary in Iowa, she returned in summers to process salmon roe and had an internship in Seward, Alaska. Then, her first two calls as a pastor took her to Dillingham and North Pole from 1987 to 1997. She tells us that the state’s tundra, forests, mountains, icy lakes and rivers occupy “an area that would stretch from Montana to Texas.” More precisely, it’s 663,300 square miles of mostly wilderness with a population just over 730,000. Being a leader in such an environment, like just getting to work some days, requires a sense of adventure and a willingness to cooperate. Alaska has been the site of a powerful ecumenical conversation in recent years and a proving ground for a multi-denominational effort by Presbyterian, Lutheran, Methodist and Episcopal churches (PLUME) that share pastors and jointly support mission work in remote areas of the state. In many ways, Wickstrom’s time at Cal Lutheran as a double major in philosophy and religion presaged her work in Alaska.